His house had stone walls. Big brown stones. And between them, scattered here and there, smaller white, round stones. 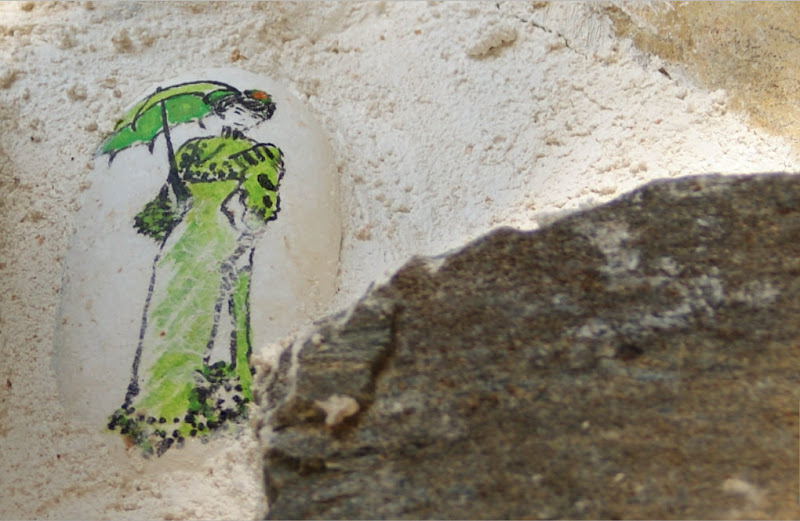 Over the door frame one of these white stones had been painted – a lady in a green outfit with a straw hat holding an umbrella against the sun. Just as you would see in a century-old photo. Over, on the back wall, another one. Now, something in the way of an icon. A saint of a certain kind. And then, I discovered yet another one – a flower bouquet. All, small, almost unnoticeable. All bringing a whiff of color into the brown-white monotony of the walls. How did they get there? Do you want to know?, he asked me.